Free papers distributed at Tsutaya at the time of release of the album “BURNING BRIDGES” in 2015. 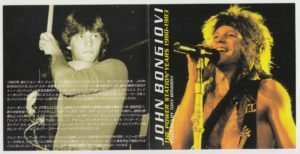 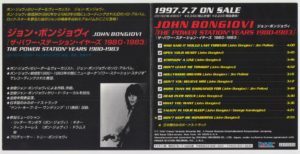 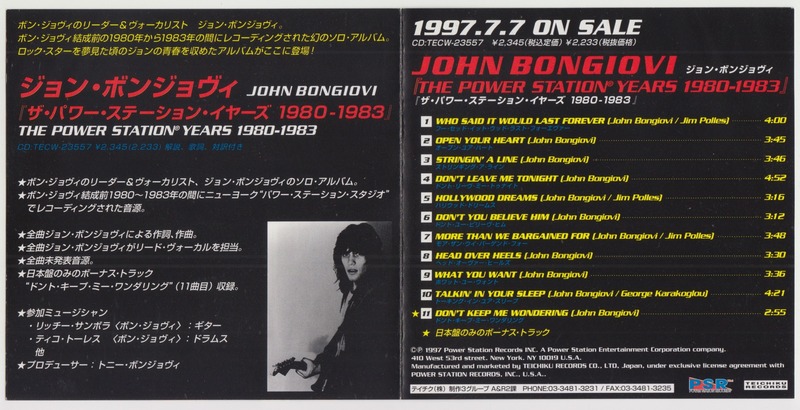 JOHN BONGIOVI first series in the year 1997, THE POWER STATION YEARS 1980-1983 flyer was produced at the time of sale. 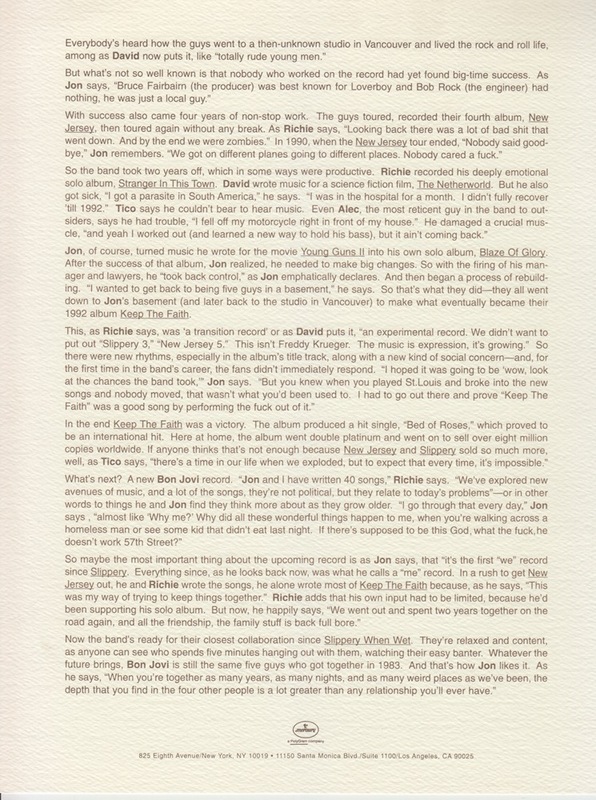 CD booklet size folded in half. 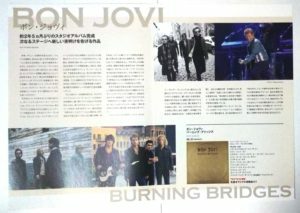 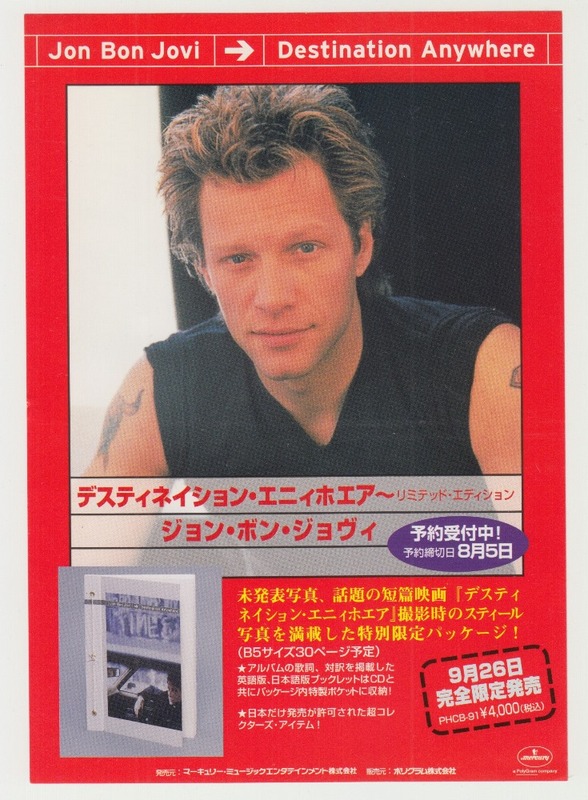 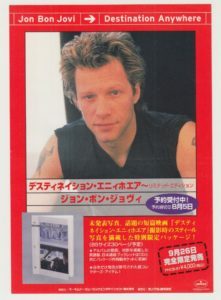 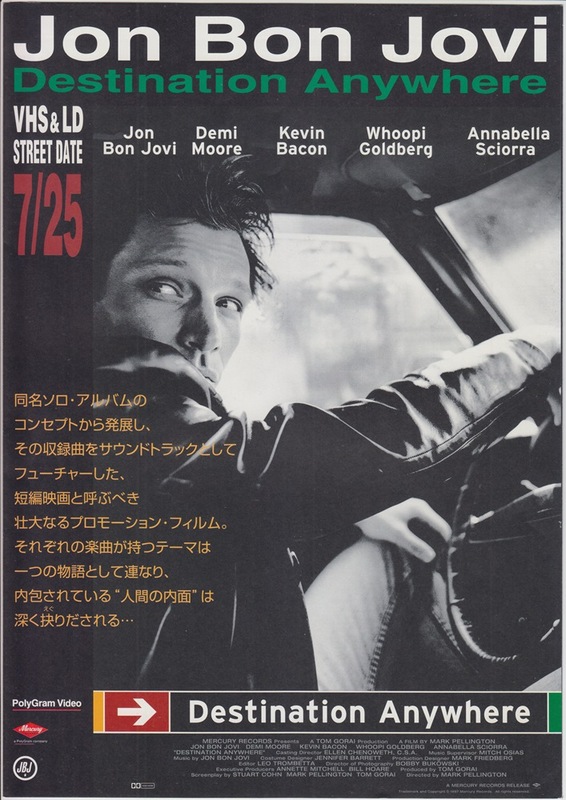 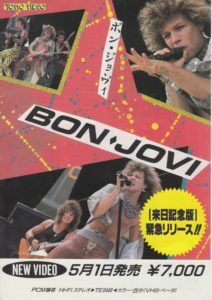 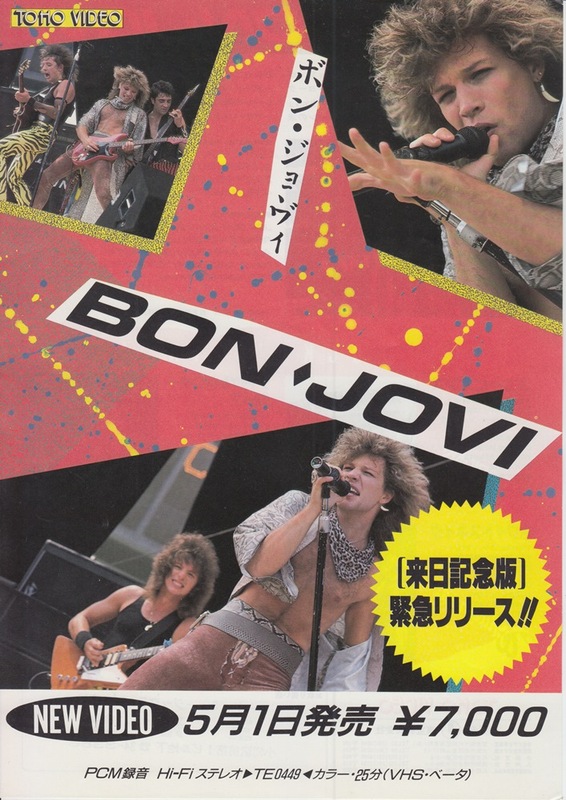 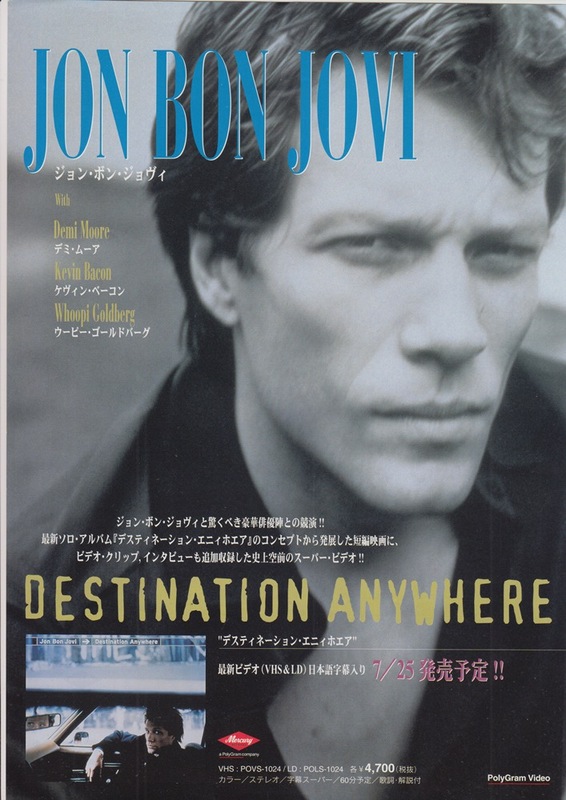 JON BON JOVI’s video DESTINATION ANYWHERE Movie flyer at the time of release. 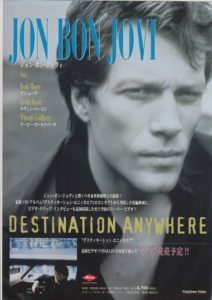 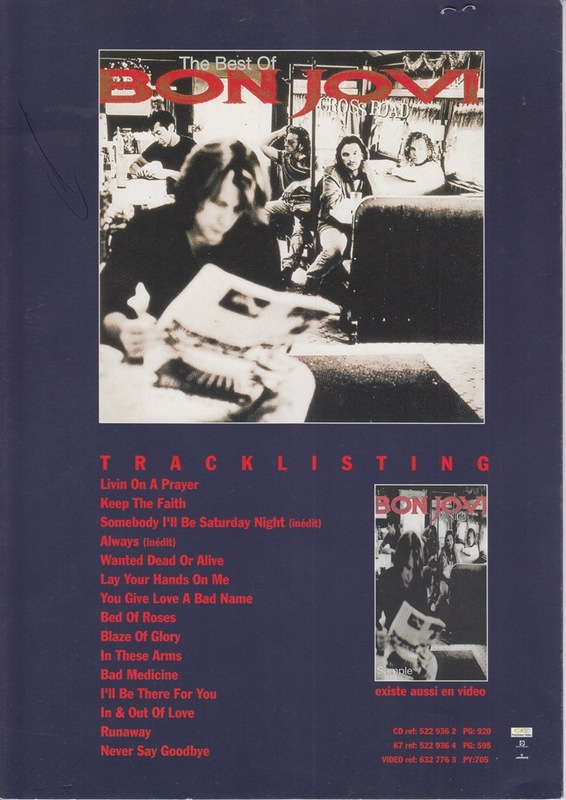 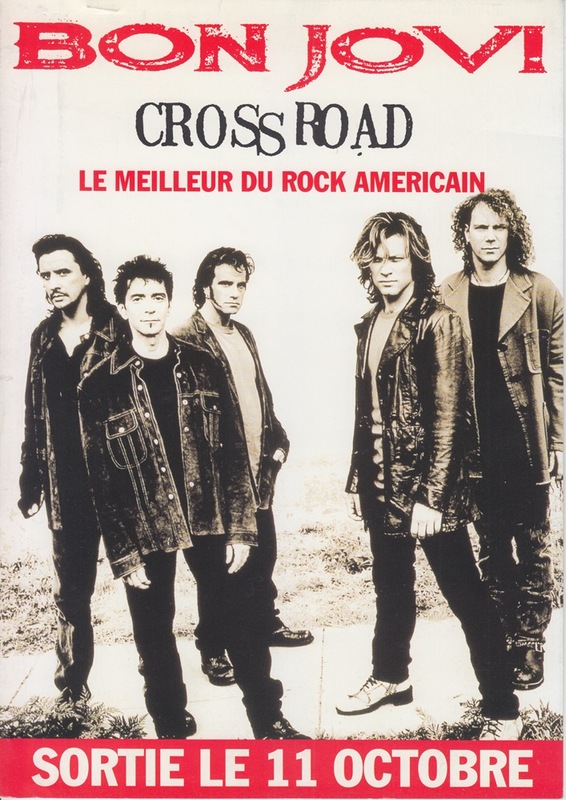 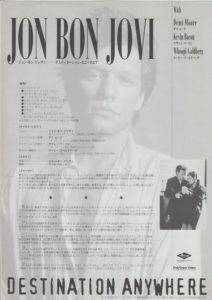 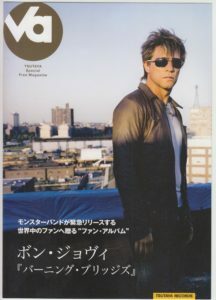 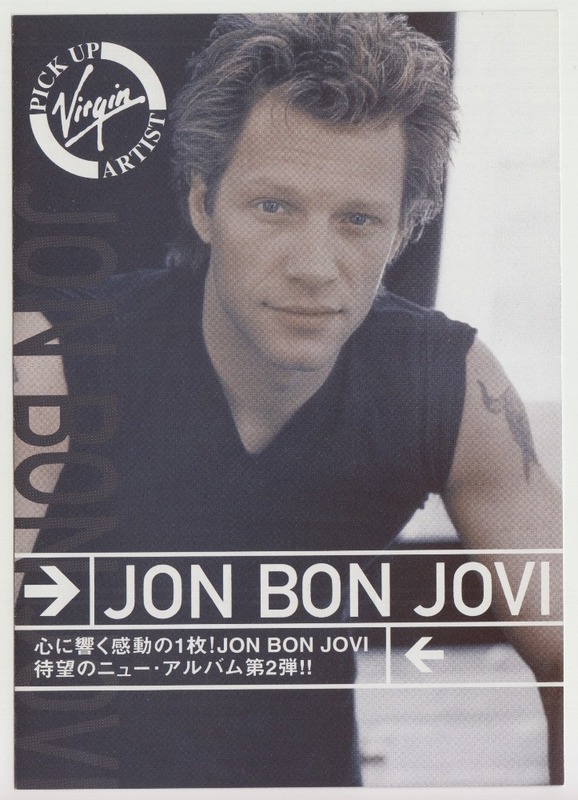 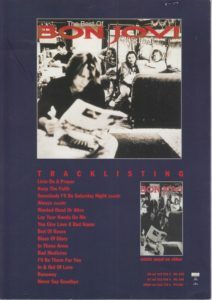 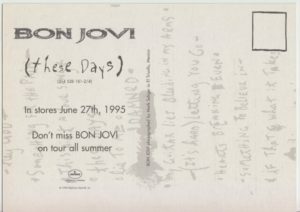 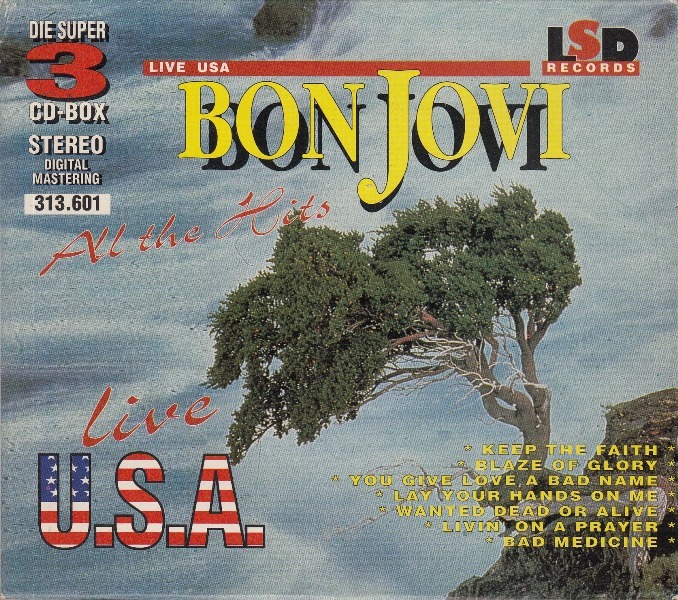 JON BON JOVI’s album DESTINATION ANYWHERE Limited Edition flyer at the time of release. 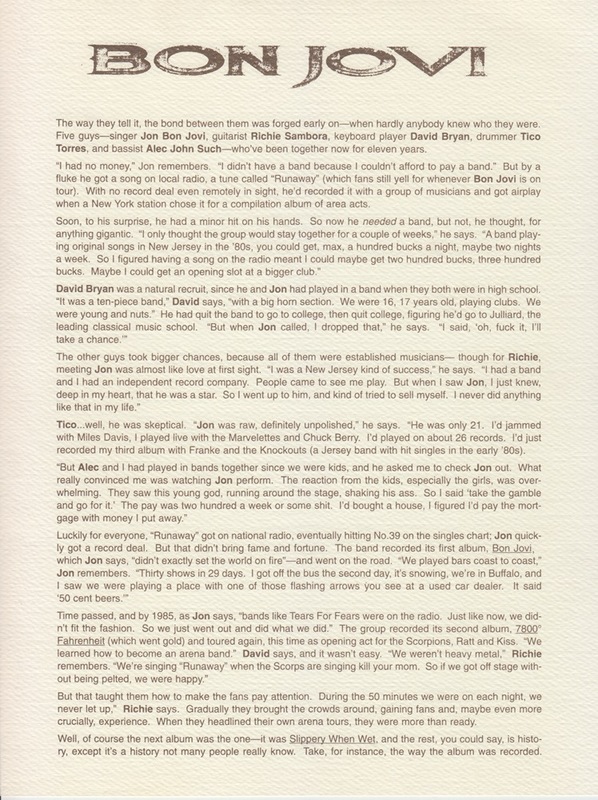 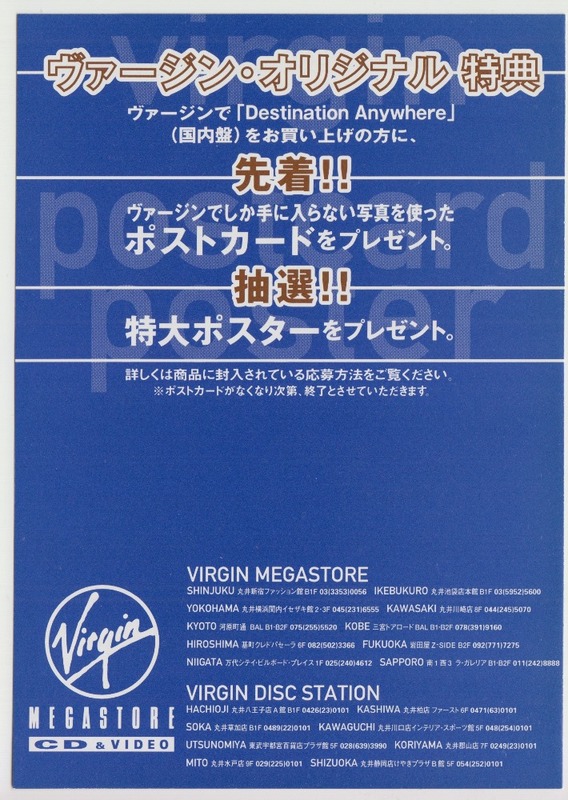 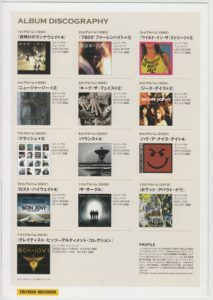 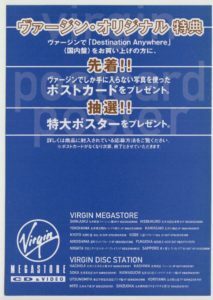 JON BON JOVI’s album DESTINATION ANYWHERE flyer distributed at the VIRGIN MEGA STORE at the time of release. 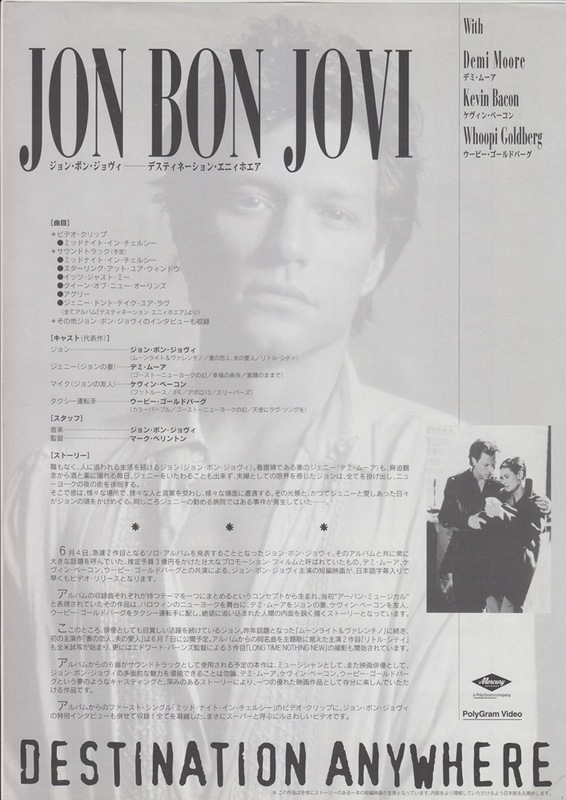 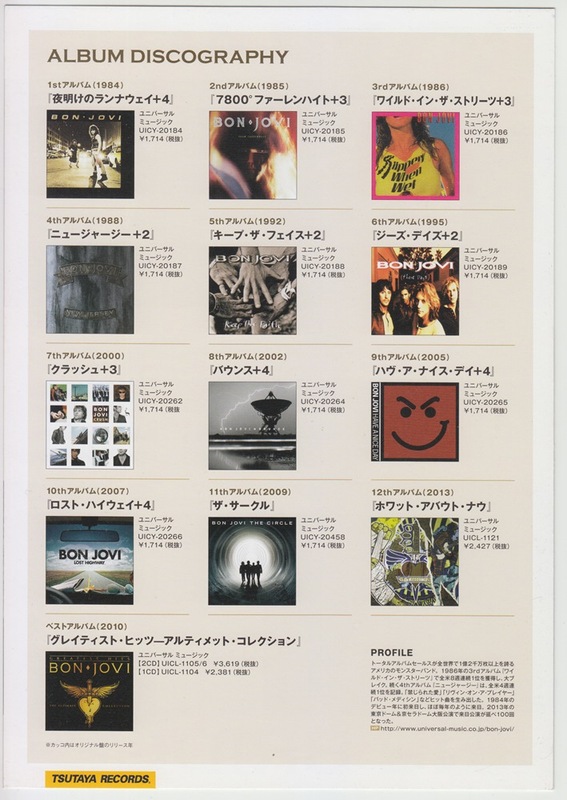 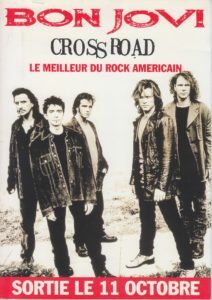 On the inner side are discography of JON and BON JOVI. 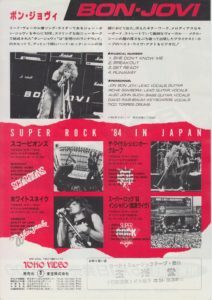 1985 live video “SUPER ROCK ’84” JAPAN version flyer. On the reverse side are introduced videos that collectively recorded five videos of Bon Jovi, The Michael Schenker Group, Whitesnake, Scorpions and their respective videos and Anvil and these four artists. 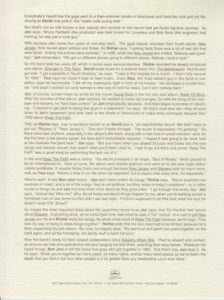 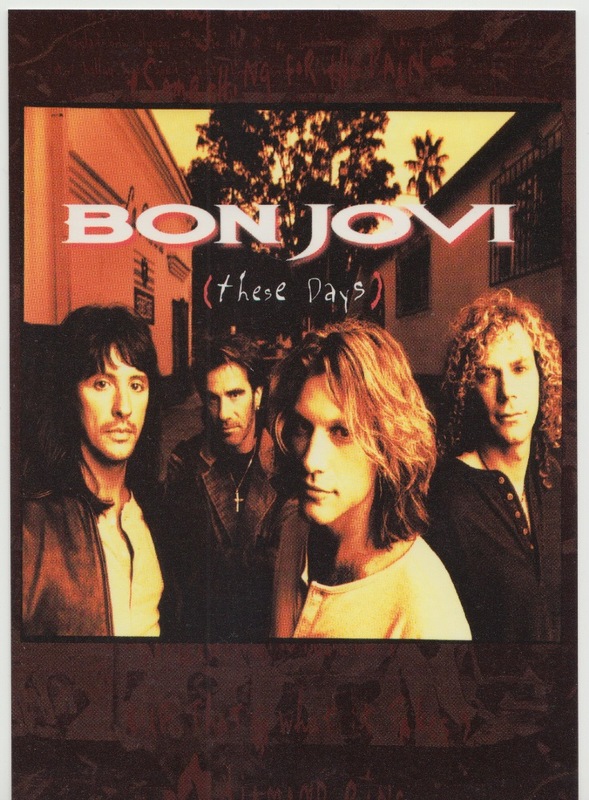 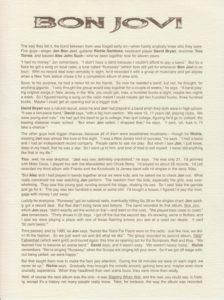 1995 album “THESE DAYS” USA version card type flyer. 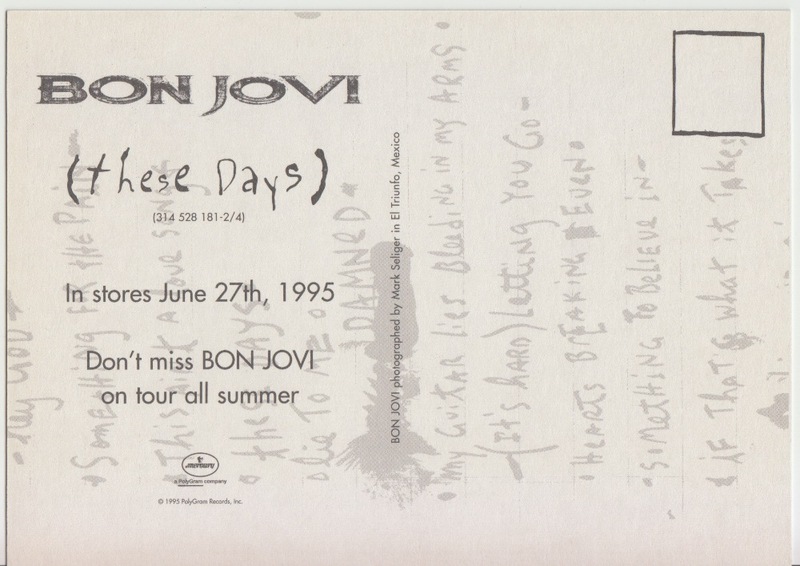 The release date is written on the reverse side.